PAANZ is hosting a new pre-conference workshop at MobileTECH 2019 on 2 April 2019. MobileTECH will then run on the 3-4 April 2019. Both events are being hosted at the Distinction Rotorua Hotel, Rotorua, New Zealand. 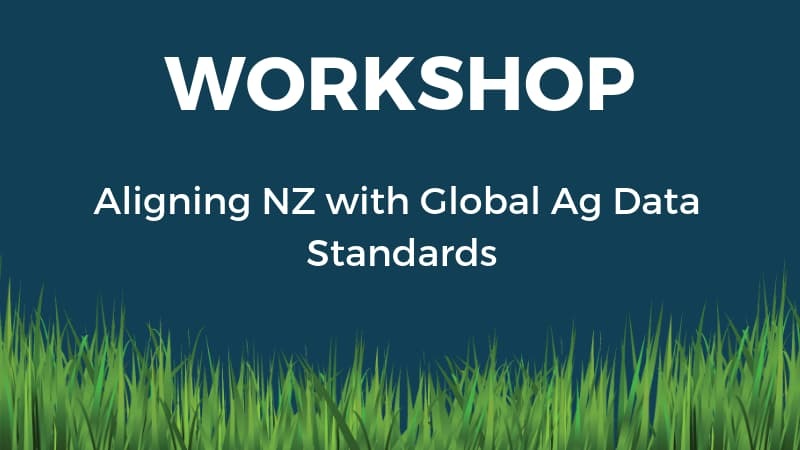 The half-day workshop is called, ‘Aligning NZ with Global Ag Data Standards‘ and details how AgGateway help us extend Datalinker and NZ Farm Data Standards. Data standards are continually evolving and international engagement is increasingly important. So in 2018, PAANZ reviewed international data standards options and initiated discussions within NZ and with some in Australia, on improving linkages and alignment with international data standards. PAANZ considered that internationally, AgGateway represents the most appropriate collaborative approach for NZ, with over 230 multi-national companies as current members, such as CNH and John Deere who operate globally and in NZ. AgGateway also excels at welcoming and leveraging standards work already developed within member countries, such as NZ’s investment in Datalinker, and expertise in livestock systems. PAANZ has investigated the merits of forming a NZ/Australia chapter of AgGateway so that NZ can not only align with international organisations in NZ, but also can facilitate NZ ag tech companies wanting to export. This year’s Mobiletech conference provides a great platform to reflect on data standards and map our future path. The workshop is to be chaired by Brendan O’Connell, deputy chair of PAANZ. Presenting and facilitating discussions will be Jim Wilson, President & CEO of AgGateway Global Network and Andrew Cooke, MD of Rezare Systems who manage DataLinker and NZ Farm Data Standards. Determining support for forming a local chapter of AgGateway, including benefits, funding, possible steering committee, and alignment with Australia. Please note that registration for the Workshop and MobileTECH 2019 Conference are separate events. Click here to register for the workshop. Venue and refreshments are sponsored by PAANZ. MobileTECH 2019 is running on 3-4 April 2019. To register to this event, click here.